Triathlon Business International (TBI) has announced the finalist events that were voted by triathletes as the ‘Triathlete’s Choice’ best events in each of four categories: best large, small, bucketlist and intro race for beginners. More than 300 events from around the world were submitted in the nomination process. The finalist events received the most nominations in each category. Overall winners will be announced at the 7th Annual TBI Conference, taking place on 22-24 January 2017 in Dallas, Texas. Triathletes can now declare their choice for the very best in each category. The voting link is surveymonkey.com/r/TriathletesChoice. Voting closes on Friday 13 January. Raises money for charitable causes. A current conference schedule can be found on the TBI Conference webpage. Additional speaker and panel topics will be announced in the coming days. Current registration fees for the 7th annual TBI event are US$695 for current TBI members and US$795 for non-members. Registration includes all sessions, meals, the networking events and one ticket to the Ron Smith Awards celebration. For the first time, TBI and USA Triathlon are collaborating to consecutively present their respective annual conferences. Once individuals register for the TBI Conference they can register for the USA Triathlon Symposium at a 25% discount. 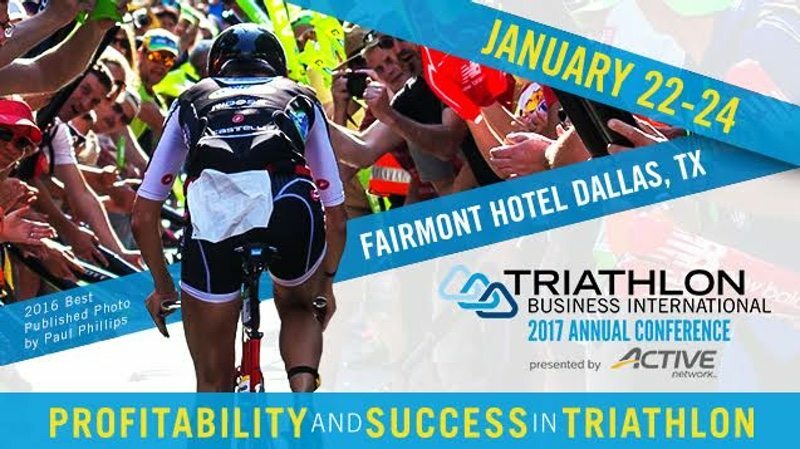 Sponsors of the 2017 TBI Conference include ACTIVE Network, the Dallas Sports Commission, Headsweats, Endurance Sportswire and Bicycle Retailer and Industry News (BRAIN). TBI Corporate Partners are Ashworth Awards, MPA Event Graphics and FinisherPix. Companies interested in conference sponsorship or Expo space should contact feedback[at]triathlonbusinessintl.com. Conference details and online registration are available online.